I've to say that my dream has been acomplished. Probably some of you consider it as heretic but it sounds almost perfect. I point out that it was designed for near field only and considering every piece of it for months and comparing with alternatives, but the result hasn't been surpassed by no other setup I've listened to. Is a PC using Foobar and ASIO drivers. Connected to a Cakewalk UA25-EX soundcard by USB. From the soundcard to the Behringer DEQ2496 through spdif. Yes, the first Behringer piece. It acts as graphic, parametric equalizer and feedback destroyer. Adjusted using REW. From the DEQ2496 by AES/SBU to a DCX2496 and through balanced jacks to a Corda Arietta headphones amplifier. DCX is the second Behringer piece, and not the last one. But an overwhelming piece. It serves as Crossover and limiter. From it to a SPL Volume 8 Control. A multichannel volume controller. And from it to a pair of Behringer's B2030 monitors and a M-Audio SBX10 subwoofer. I started looking for my near field audio setup 5 years ago and some musicians and sound engineers friends helped me apart of help from different forums. A local Atlanta investment banker sold me some his room treatments. While there I took a picture of his setup. I think this could do in a pinch. For me, someday I will have a set of the Soundfield Audio VSFT1 Towers - I have heard them a few times at different shows and they just keep on getting better and better! I remember listening to a pair of those Infinity speakers in the late 1970s in Colorado Springs... Man they were great sounding! They look like Focal Utopias - is that right? my dream 2-ch system is one that i could actually have in the not so distant future. Oppo 103 as a cd transport. 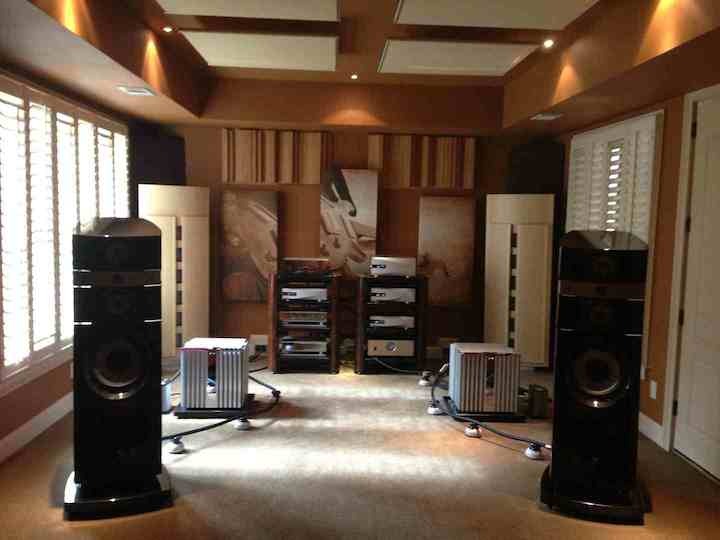 my dream 2-ch system is one that i could actually have in the not so distant future. Dynaudio Focus 260s Naim Nait XS Integrated Amp Naim Stageline phono pre-amp VPI Traveler with Grado Reference Sonata or Dynavector 10x5 cart Eastern Electric Minimax Plus dac N.A.S. connected to a MacMini or laptop Oppo 103 as a cd transport.